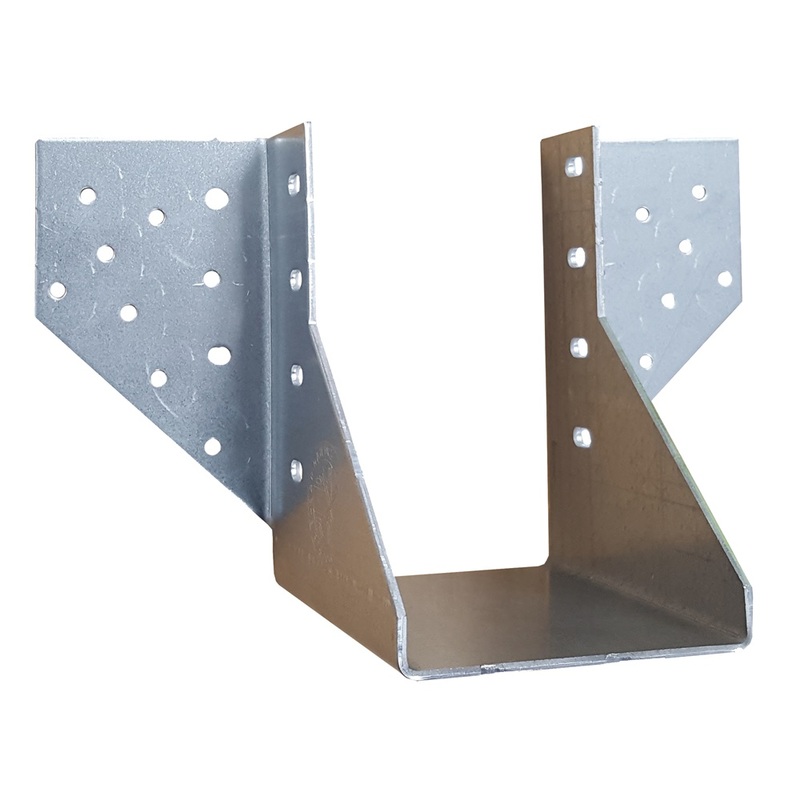 The HGUS joist hanger for supporting solid composite beams from timber members. 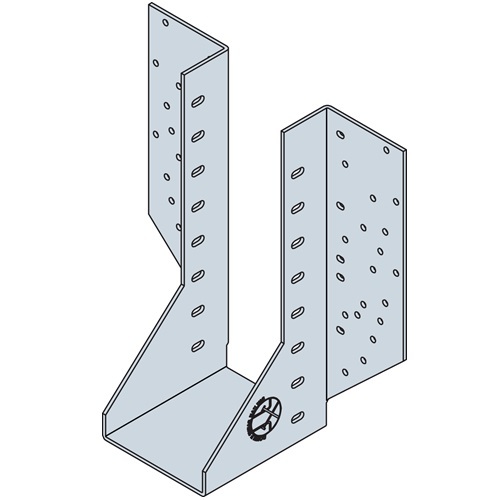 Double shear joist nailing allows distribution of the carried member's load through two points on each nail for greater strength. Nails are supplied with each hanger.